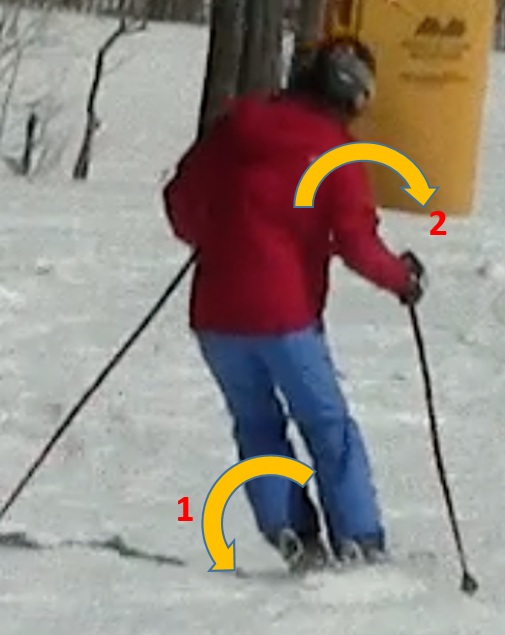 So, as we're tipping the boots on edge (1), the torso's default action would be to follow and incline into the turn, but we then complement with tipping the shoulders to the outside (2). Counterbalancing is the side-to-side tilting of the upper body at the waist [...] performed in proportion to tipping, to complement tipping. If you look it up on wikipedia, "counterbalance" will redirect to Counterweight - but another way to look at it is that instead of bundling edging and balancing movements into a single "geometrical" concept of "angulation", we will split this into a specific tipping movement for edging from the lower body, complemented by a counterbalancing movement of the upper body, to stay in balance. 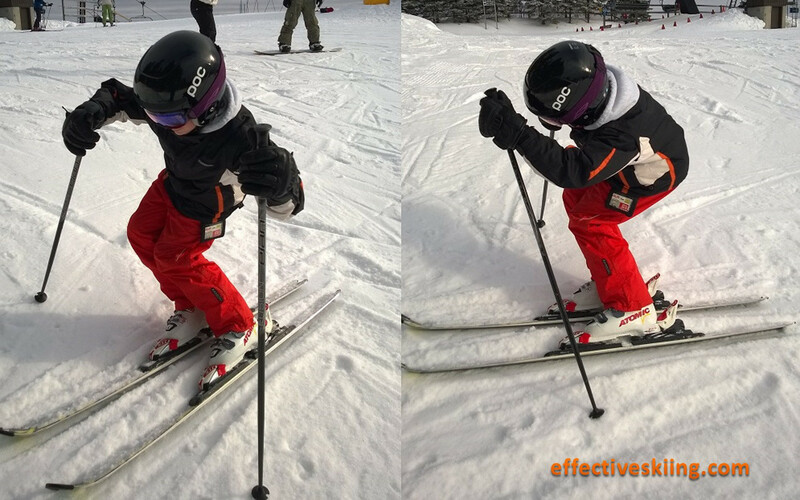 Also, we prefer to talk in terms of the movements a skier should make and angulation is not in reality a specific movement, but a fuzzy concept of creating angles with the body, so again we prefer counterbalancing as the movement that creates angulation. 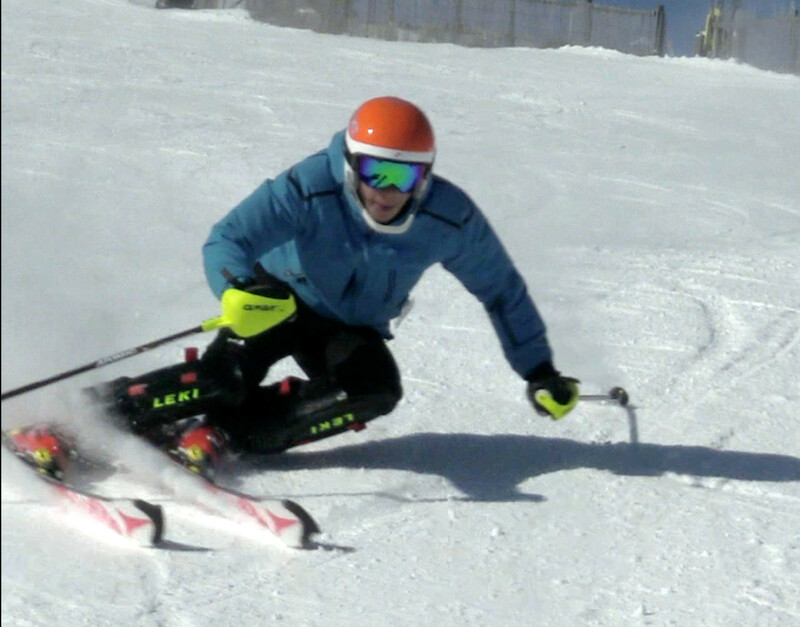 In practice, it seems to make it easy to communicate as well: "as you tip the skis on edge you have to counterbalance with the torso" rather than "do the side crunch because it's fun" or "angulate like this because I ask you to". Sometimes the waist is mentioned in relation to counterbalancing. Don't mis-understand that as implying that we bend the lower back. That is usually the way it is done at the beginner level, when you focus on "crunching" the shoulders or when somebody is lacking sufficient hip mobility and/or awareness. 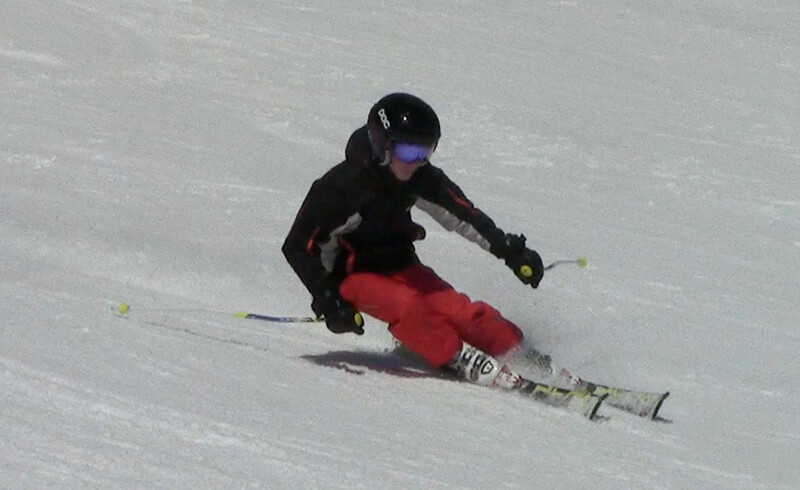 The first photo above shows a form of static counterbalancing, at low speeds, which simply helps stay in balance while the lower body is tipping the skis. As the speeds are ramping up, the movements become quite a bit more complicated and dynamic or anticipatory in nature, as it should be obvious looking at the other, more extreme, photos of expert skiers above. As you can tell, counterbalancing involves large muscle groups, which usually take some time to activate and put in motion. This is why it is beneficial if one starts the counterbalancing movements early, before the edge changes, especially in short turns. In the Essentials, counterbalancing is defined1 as an upper body movement, in reaction or to complement a lower body movement (tipping). In racing however and high performance skiing, the view is that generally we strive to maintain a stable upper body while the legs swing underneath... which is correct? Member-only content avilable (186 words). Member-only content avilable (18 words). 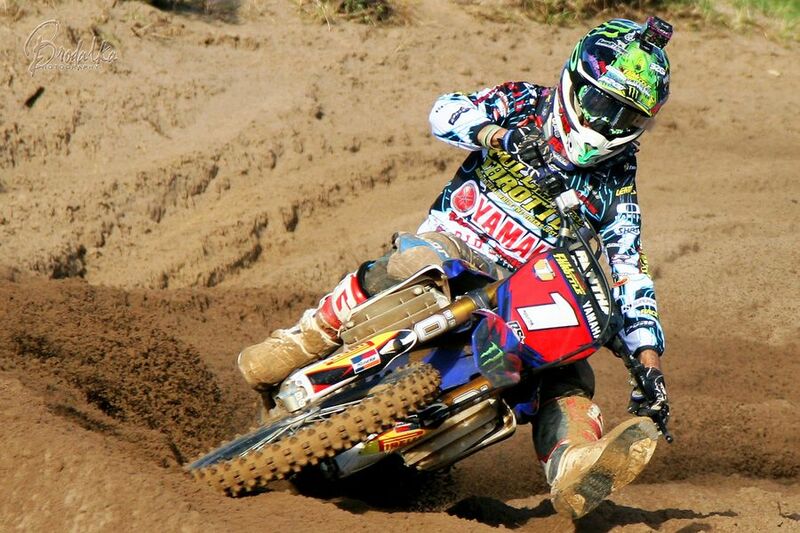 Other uses for counterbalancing: counterbalancing on a motorcycle. Viewed 3179 times ( | Print ) this page.